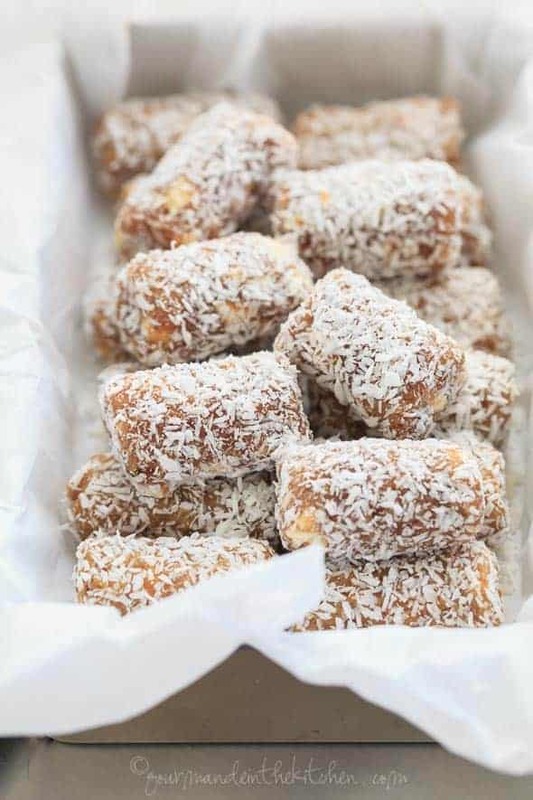 A quick and energizing snack made with dates, cashews and coconut. Dates are a staple in my kitchen. Medjools are the variety I buy most often thanks to their super tender texture and caramel-like flavor. 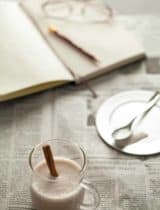 As you may have noticed if you’ve been following along here for some time, I like to use them to sweeten up smoothies, pudding and desserts whenever I can. 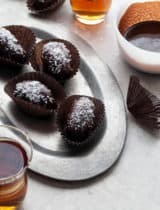 And while they work beautifully as a natural sweetener in place of sugar in recipes, one of my favorite ways to enjoy them is made into these easy date rolls. Have you had date rolls before? You may have stumbled across them before in the bulk bin at the supermarket. 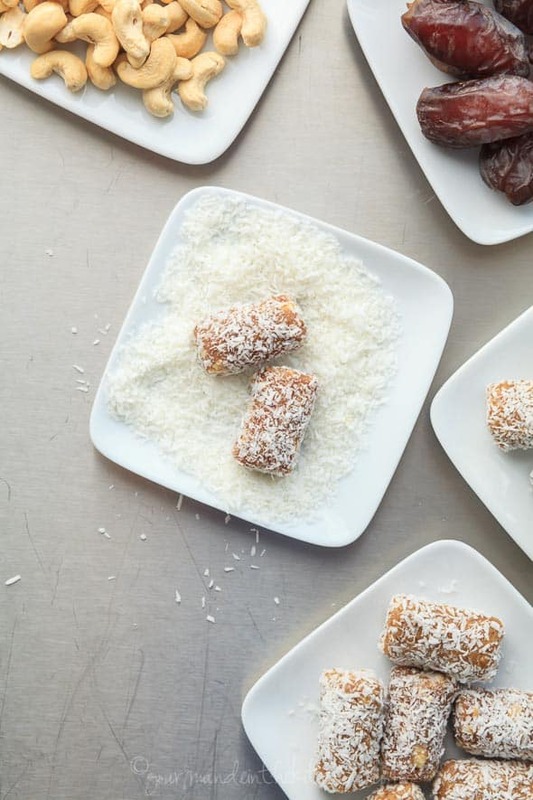 They are simple little snacks made from dates rolled in either coconut or chopped nuts. 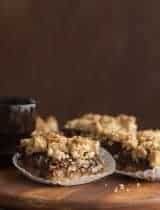 These cashew coconut date rolls are my afternoon treat as of late. 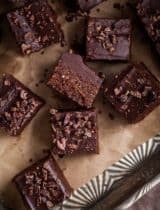 They are super easy to whip up ahead of time and keep swimmingly in the fridge for when you need a quick pick me up, and also hold up well at room temperature, if you want to take a few along while out and about. Straight out of the fridge the date rolls are firm and chewy (which is how I like them), but if you give them a few minutes on the counter they soften up and get nice and meltingly tender. 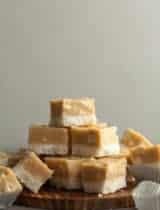 Simplicity is the key here, bite into one and you get the rich flavors of caramel with hints of vanilla, accented by bits of creamy cashews and tender coconut. What are your favorite afternoon snacks? A quick and energizing snack made with dates and cashews and coconut. Place dates, cashew butter, coconut oil, vanilla bean seeds and salt in the bowl of a food processor and pulse until smooth and mixture starts to come into a ball. Stir in chopped cashews and place in fridge to firm for 10 minutes. Using lightly greased hands roll date mixture into a long rope and cut into bite sized pieces. 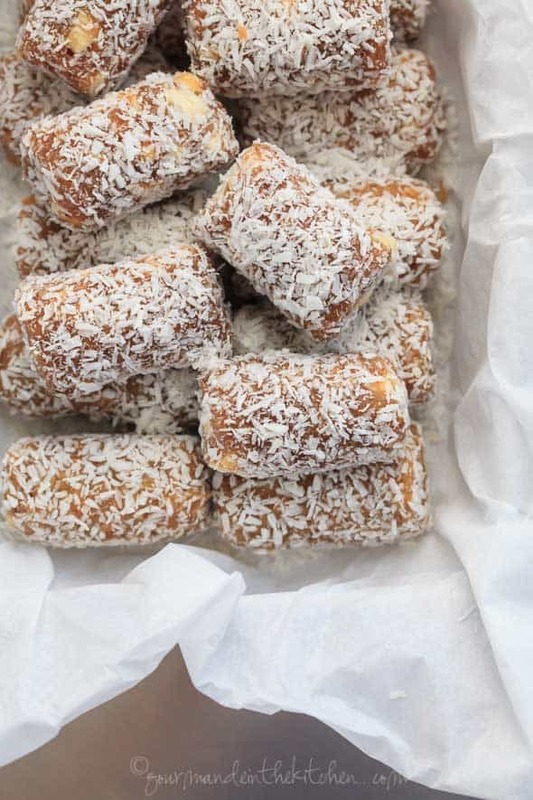 Place shredded coconut in a shallow dish and roll each date log completely in the coconut. 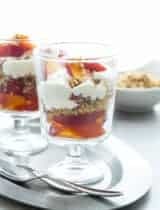 Serve immediately or place in fridge to firm and enjoyed chilled. Date rolls with keep in an airtight container in the fridge for at least 2 weeks. 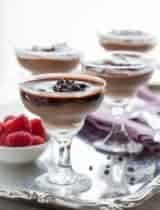 Click on the images below to see what I recommend for this recipe. These seriously look so good! I love how coated they are in coconut. Yum! Someone put out some dates at a party the other week and I just sat there and devoured the whole bowl. Needless to say, I'm pretty into them. Oh, and shredded coconut. And cashews. So, yes, I need to make these. These sound delicious! My kind of snack for sure! They remind me of these sesame and date rolls I used to enjoy as a kid in Sri Lanka. The answer is Yes! I used to love buying these for our kids. Your version is beautiful! Sylvie, dates are staple in our home as well--so much you can do with them. 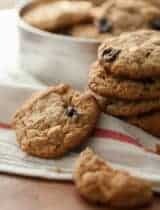 Pinning to make these! These look great! They remind me of the ones I ate during labor and right after my little one was born. Yum! These look absolutely delicious! I love that they're just like the storebought date rolls but you added in cashew butter. So awesome! These sound divine! I haven't had dates in awhile, but I love stuffing them with a few walnuts and baking them in the oven. These look amazing and your photography is just stunning as always. Oh my gosh! This looks amazing! I've seen those date rolls in the bulk section at Whole Foods! I never knew exactly what they were, but now I do... and I have this recipe! Thanks girl. xoxo Cailee! My mom loves date rolls. I'll have to make these for her! Such a simple but delicious sounding version of date rolls!